Chloramines are an attractive option for secondary disinfection - they're chemically stable, persistent and produce much lower levels of disinfection by-products (DBPs). However, because chloramination involves mutiple chemical reactions between ammonia and chlorine, managing the chemistry of chloraminated water distribution systems is tricky. Chlorine is consumed as water travels through the distribution system and reacts with organic matter, and free ammonia can be left behind. For this reason, nitrification becomes a principal water quality management issue for chloraminated water systems. 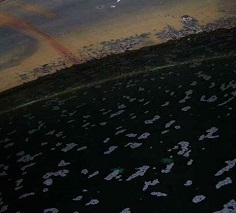 We have received many inquiries from operators about how to manage and avoid nitrification in water storage tanks, below we answered three common questions. 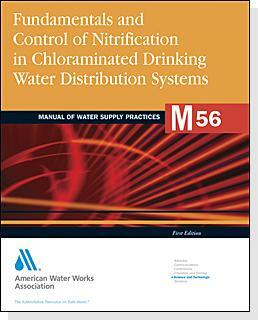 The AWWA Distribution System Water Quality Committee is embarking on revisions to their M56: Fundamentals and Control of Nitrification in Chloraminated Drinking Water Distribution Systems. The M56 manual is a complete guide to managing nitrification and is intended to be a principal technical resource for water system operators throughout the US.